You'll be £14.99 closer to your next £10.00 credit when you purchase Memoirs of a British Agent. What's this? When first published in 1932, this memoir was an immediate classic, both as a unique eyewitness account of Revolutionary Russia and as one man’s story of struggle, and tragedy set against the background of great events. Aged 25, Lockhart became the British Vice-Consul to Moscow in 1912. With revolution in the air, it was dangerous, decadent posting. The 'Boy Ambassador' became an eyewitness to pivotal events and in 1918 was charged with establishing a diplomatic understanding with the Bolsheviks, to ensure that Russia remained in the war against Germany. It was a precarious mission: Whitehall could not be seen support revolutionaries; Lockhart grew wary of his masters’ secret machinations; while Lenin and Trotsky's cordial relations with the British agent never quite dispelled their mistrust of the nation he represented. When Lockhart met Moura Budberg, who became the great love of his life, he was in an increasingly vulnerable position. In September 1918 he would be falsely accused of a counter-revolutionary plot to overthrow the Bolsheviks, and sent to the Loubianka. His account even inspired a Hollywood movie. From his evocative descriptions of revolutionary Moscow, where the champagne flowed as the bourgeoisie trembled, to his audiences with Trotsky and his brushes with death, this is a vivid, unique memoir. This is a fascinating insight into the end of the Tsar in Russia and the seizure of power...it is especially interesting to so many of us who served in West Germany and faced the 'Iron Curtain' until 1989. First published in 1932, this is a fascinating insight into the end of the Tsar in Russia. It is especially interesting to so many who faced the "Iron Curtain" until 1989. The author, Robert Bruce Lockhart, was sent to Moscow in 1912 as a very young Vice Consul, was sent home and then asked to return as an Envoy to the new Bolshevik Government. When the British and allies landed at Archangel the new Soviet Government turned against him. He was arrested, lost his diplomatic immunity and was locked up under the treat of death but an exchange was arranged for him with a notable Soviet. Knighted in 1943, he died in 1970. One of history's most dynamic accounts of espionage and diplomacy. 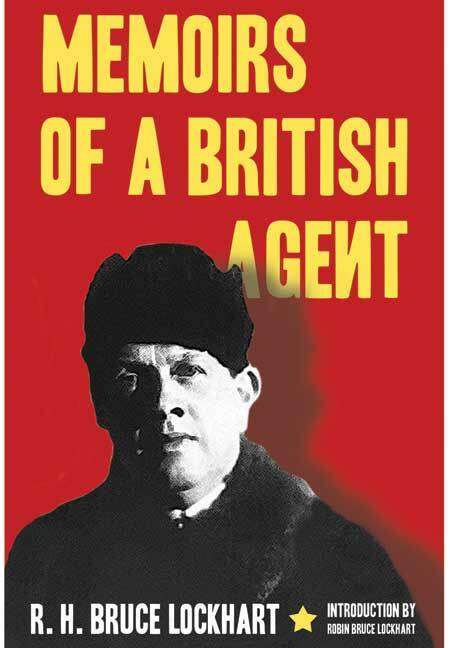 Memoirs of a British Agent deserves its status as a classic. There is nothing else like it. From his evocative descriptions of revolutionary Moscow, where champagne flowed as the bourgeoisie trembled, to his audiences with Trotsky and his brushes with death, this is a vivid, unique memoir. Robert Bruce Lockhart (1887-1970) was born in Anstruther, Scotland. He was an author, diplomat and journalist. Lockhart's writings were mainly based on his interest and experiences in Malaya, Russia, Czechoslovakia, and on his Scottish background. This edition is introduced by the author’s on.